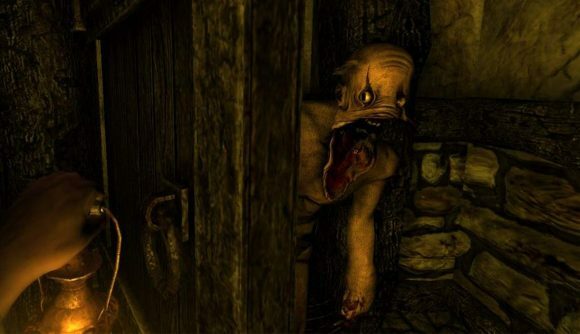 October is here, and that means it’s time to replay your favourite horror games – and if you want to revisit Amnesia: The Dark Descent, Frictional Games has just added a bit of spooktacular spice to keep things fresh. A new hard mode just dropped on PC, and it promises to make your next trip through Amnesia even more daunting. You can enable hard mode at the start of a new game, and you’re locked into your choice once things start. The mode will subject you to a Resident Evil-style save system that disables checkpoints and forces you to spend tinderboxes for manual saves. You’ll also find fewer tinderboxes and less oil, making those resources even more precious. Punishment are even harsher when your sanity drops, as when it hits zero you simply die. Monsters have better vision, move faster, deal more damage, and are more persistent – plus you won’t have danger music warning you of their presence anymore. If you want a reward for all your suffering, it comes in the form of an achievement called Masochist – as Frictional says, that’s because “you pretty much have to be one to complete the mode.” For those serious about meta rewards, the tinderbox limitations mean you can’t get the Illuminatus achievement while hard mode is active. Hard mode initially went live alongside the new release of the Amnesia Collection on Xbox One, and is now available to test your will on PC after an initially indeterminate delay. If that’s all a bit much, Frictional’s own SOMA safe mode offers a polar opposite experience, letting you ditch the terror of dangerous monsters in favour of a story-focused trip through the game.